NYC, 04/13/2019, 12:00PM. 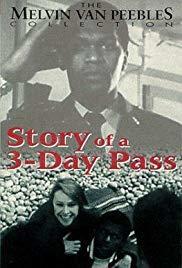 The Story of a Three-Day Pass (1968): Black GI Loves French Shop Clerk. April 24, 2019. Free shows, concerts, movies, tours are New York (NYC) best kept secret! New York City never ceases to amaze you with quantity and quality of its free culture and free entertainment whether it's day or night, weekday or weekend, summer or winter, spring or fall, January or June, May or September. If you are looking for inexpensive things to do and where to go in Manhattan today, tonight, tomorrow, or any other time, or any other day of any week - you came to the right place: just click on any day on the calendar dispayed on the every page of our site and you will see how many events you can attend in Manhattan free of charge on that very day. So do not wot till tomorrow, start using these unique New York City opportunities today, April 24, 2019! The trick is to know about those free events, free things to do BEFORE they happen, not after the fact. That's where Club Free Time comes in handy! Become a Club Free Time member and start using these unique New York City (NYC) opportunities today, April 24, 2019! Free things to do, free events that take place in the City every day of the year are truly amazing. So if you're looking for something interesting to do today (April 24, 2019) or on any other day of the year don't miss those free-of-charge opportunities that only New York provides! You can find lots of high quality, off the beaten path, unique free events, free things to do which will take your breath away! Turner, a Black G.I. stationed in France, is given a three-day pass as a reward for his loyal service. On his first night in a nightclub, he meets French shop clerk Miriam, and the two develop a romance as they spend the weekend together, exploring the northern towns and beaches. A complex situation for Turner, the love affair is met with prejudice, racial taboos and an impending departure.